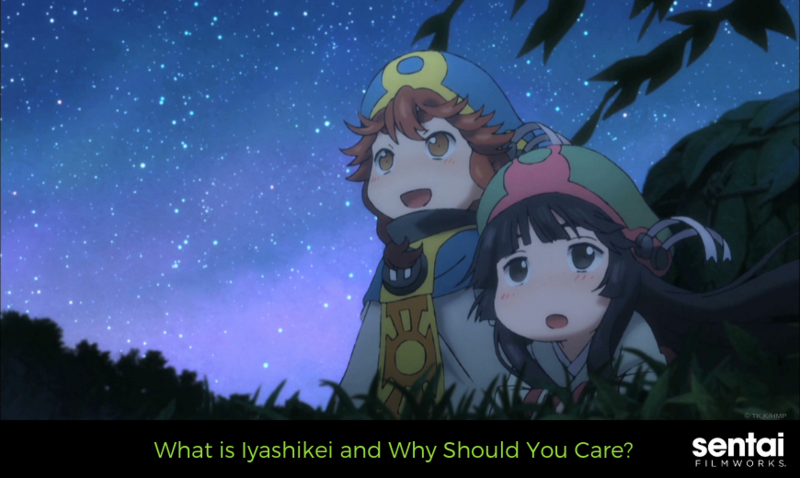 It’s the Japanese word for “healing.” However, in the context of an anime genre, it’s a show that’s specifically designed to have a relaxing, cathartic effect on anyone who watches it. What does that mean? Well, ever had a terrible day and all you want to do is something, anything, to get away from it all and de-stress? That’s precisely why this genre exists. The same concept exists here in the West. You might be more familiar with the term “feel-good.” Ever heard the phrase, “It’s the feel-good movie of the year”? That’s the Western equivalent. If you feel better after watching, then the genre has done its job. It’s like being wrapped in a big blanket and being handed a hot cup of cocoa after coming in from the cold. It’s like getting an understanding hug from your significant other after you’ve spent the entire day getting yelled at for something that wasn’t even your fault to begin with. It’s like settling down by the fire and eating your favorite comfort food as your stress just melts away. It’s obviously not as simple as saying catharsis and calling it a day, of course. Fortunately, there are enough similarities between the following titles that we can use them to define the genre. Our life contains constant stressors, whether they’re found at work, at school or even at home. These titles attempt to remove those stressors by transporting the viewer to another place entirely. 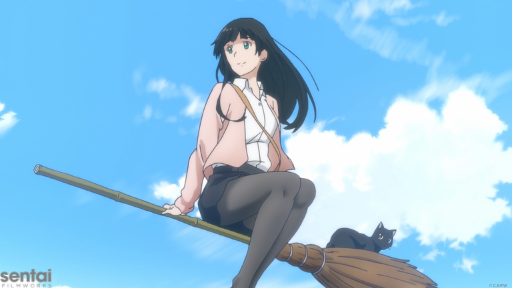 Take, for example, Flying Witch, which takes place in the scenic Aomori prefecture of Japan. It may be based on a real place, but in this series, there’s magic to be found in the most unexpected of places. You only have to know where to look. And then there’s Hakumei and Mikochi. There’s no other way to explain it: Those two come straight out of a fairy tale where you spend the afternoon having tea and crumpets with a hospitable badger and end the day stargazing alongside a hedgehog. 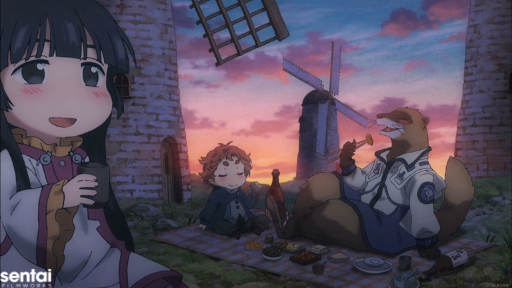 But that’s not to say that Iyashikei titles HAVE to take place in the countryside or in a storybook setting. There are titles such as K-ON! that take place in a conventional high school setting. The key is that the setting is relaxing or idyllic in some way, shape or form. What do we mean by a straightforward plot? We mean there’s no ancient evil to defeat or a family crisis that requires 30 minutes to solve. We mean the plot is no sprawling Shakespearean drama that locks you out of the story just because you haven’t watched the 2 prequel series and read the 7 supplemental novels yet. Once upon a time, two tiny women lived within a deep forest. Hakumei was a joyful, energetic spirit who loved to explore the outdoors, while Mikochi was reserved, preferring peace and quiet. The two couldn’t be more different, yet they were the best of friends who did everything together. That’s it. That’s all you need to know about the plot right there. Sure, the two go on all kinds of fantastical and imaginative adventures, but the key point is that they’re best friends that do everything together. Need a simpler example? 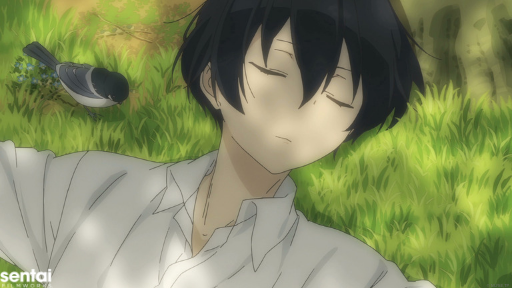 How about, Tanaka-kun is Always Listless? That wasn’t just a plot synopsis; that was the title of the show! It doesn’t matter what’s going on or where the characters are: Most of the humor in the story draws on the fact that Tanaka always puts the least amount of effort in anything he does. They could be taking a test or attending a culture festival at school, it doesn’t matter: Tanaka is going to be lazy and the series’ colorful cast is going to react in the most hilarious way. Although slice-of-life stories involve characters going about their daily lives, there are many ways that a slice-of-life story can unfold. Slice-of-life stories can be poignant coming-of-age tales or even comedies that occur within a fantasy kingdom. Their purpose is to convey a message, which varies from story to story. 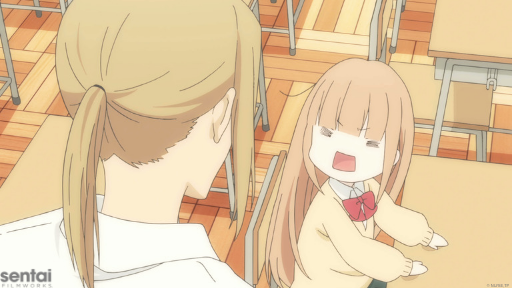 But Iyashikei anime, on the other hand, exists for the sole purpose of making the audience feel good. In a way, Iyashikei can be seen as a subgenre of the slice-of-life genre. *Please note that we are not actual doctors and our recommendations should in no way be construed as medical advice. 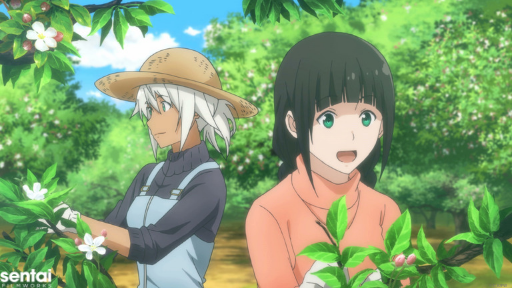 Looking for Iyashikei Titles from Sentai Filmworks? Here’s 29! We’re guessing that you’re interested in learning more about this genre. Good news: Here’s a list of 29 of our titles that you can binge RIGHT NOW on HIDIVE! Did we miss a title? Let us know by tagging @SentaiFilmworks with the social media buttons below, and if it’s streaming on HIDIVE, we’ll add it to this list! After you do that, be sure to sign up for our newsletter for all the latest news!